Call us to schedule a professional carpet cleaning today! The atmosphere of the air you breath is essential to your health. When you are at home or work you spend a lot of time indoors-where the condition of the air should really matter to you. 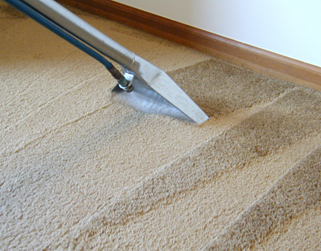 "If you are looking for a super carpet cleaning job, call Carpet Cleaning South San Francisco. I would recommend them to anyone. I have a baby, a toddler and two cats… Believe me… I have a lot of stains on my carpets. Carpet Cleaning South San Francisco was able to get all the stains out and I'm completely satisfied with the results. They were very patient and polite. There's nothing better than a clean carpet." Steam cleaning or hot water extraction is very commonly used carpet cleaning method. There are many different ways in which steam cleaning is carried out and is the most preferred by cleaning services. Steam cleaning method is among the oldest methods used in carpet cleaning. The simplest form of steam cleaning involves only a single stage. The carpet cleaning machine is filled with water and detergent. This is used to clean carpets. This method cleans carpets without rinse and hence leaves behind detergent residue that promotes fast re-soiling. This kind of steam cleaning is performed using truck mounted machine with rotary brushes and other equipment to loosen dirt from carpet fibers. Steam cleaning can be performed in multi stages too. This method is more efficient and leaves carpets clean and fresh. The multi stage steam cleaning process begins with carpets being pre-sprayed with an Eco-Friendly solution. This is followed by rotary agitation that separates soil and also aids in stain removal. Stains and spots are treated now. In the next stage, carpets are steamed or hot water extraction is employed to wash carpets off dirt. In the final stage, carpets are rinsed with a pH balance and this ensures that there are no residues. An optional stage of deodorizer application is also available. Other optional services in steam cleaning method are dry cleaning after steam cleaning, carpet raking, Oz guard carpet protector and carpet antistatic. Steam cleaning or hot water extraction is ideal for hard surfaces as well as softer carpets and upholstery. Steam cleaning drastically reduces allergens and other irritants which can cause asthma, chemical sensitivities and other breathing problems. Steam cleaning mostly uses Eco-Friendly equipments and techniques ensuring cleaner and healthier carpets, which are safe for households. Carpets dry within hours of carpet cleaning process and look great for longer time. Please input exact text as shown!